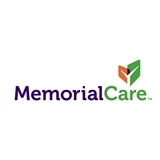 MemorialCare Medical Group Torrance (Torrance) - Book Appointment Online! Great doctor who is understanding and patient. He takes the time to listen. You can tell he genuinely cares about the patient and he goes above and beyond. I really like Dr. Kaneshige! I liked that this doctor takes time to listen and questions you about your pain. Dr. Alfonso is very professional yet approachable. She makes me feel at ease when discussing my children's possible medical issues. My kids love her as their doctor. Highly recommended!